Love finding objects and turning them into wearable art. The key word here is “found” as in not bought but found elements. For this found object project I literally was walking down the gravel driveway at the Gingerbread House in Gatlinburg Tennessee and found a piece of wire just laying there in the middle of the driveway. Bingo – found object! I’m not sure what the gauge of the wire was but it was a perfect size and very bendable. And seriously right when I saw it – bracelet popped in my head. 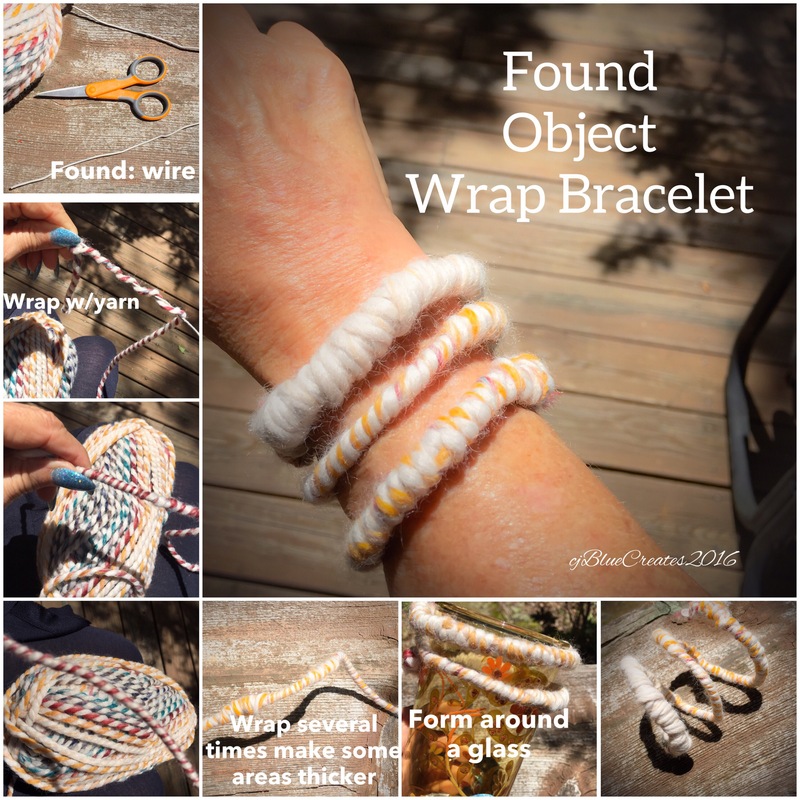 I had brought some yarn with me on our trip to do a little crocheting so I decided to wrap the wire in the yarn and bend it into a wrap bracelet. Check out the pictures for step by step. Hope you enjoy and would love to see your found object creations as well! !